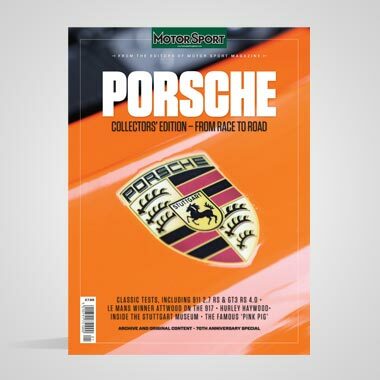 Historic motorsport continues to grow at a frightening rate, indeed the dedicated aficionado has never faced a greater dilemma in compiling a summer's leisure pursuits than you do in 2001. With more mature race series and ever-grander special events, you are spoiled for choice. With something happening almost every weekend in Europe alone, seeing it all will be impossible. But here we will attempt to convey this year's 'must see' events. Back-to-back races on the Silverstone (July 14/15) and Brands Hatch Grand Prix circuits, on successive weekends in July, will make a marvellous centrepiece to the eighth TGP series for 3-litre Formula One cars of the 1970s/early '80s. And for the first time, it has been granted a GP support race slot. 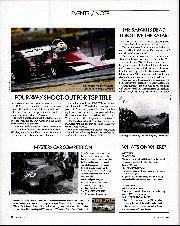 On track, the return of triple champion Bob Berridge with an Arrows A4 will throw the cat among the pigeons. His rivals include Richard Eyre and Joaquin Folch (Williams FW08s), Duncan Dayton, Steve Allen and Fredy Kumschick (FW07s) and Christian Glasel (Brabham BT49D). 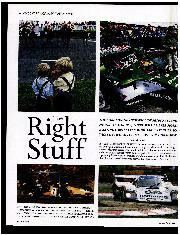 Celebrity car of this year will undoubtedly be the twin-chassis Lotus 88 of Steve Hitchins. Fifty cars and drivers have signed-up for the series which, apart from the staples at Donington (5/6 May), Monza (19/20 May) and Nürburgring (10-12 August), will visit Mondello Park (1/2 September) for the first time. 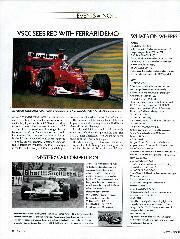 After a couple of well-intentioned false starts, F5000 is back with a vengeance. New converts have made massive investment in hardware over the winter, so it's going to be big in 2001. More than 70 cars are now said to be in Europe, and Mondello Park (6/7 May) is up for the first Transatlantic Challenge race. Lola T330 and T332 models should be the class of the field — as in period — piloted by the likes of Simon Hadfield and Keith Baldwin. Another former TGP race winner, Ian Giles, should challenge in his ex-Elliott Forbes-Robinson/James Hunt Eagle, and Historic F2 graduate Nick Crossley's March 73A, and American Ray Boissoneau's McRae should be right there too. Chevron, Lotus, McLaren, Surtees and Trojan cars will complete the snarling pack. 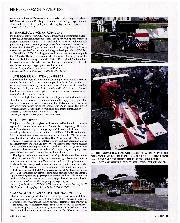 Organiser David McLaughlin's series dovetails with his Classic Grand Prix programme, now for cars built up to 1976 which may draw earlier F1 machines out of TGP to make a splendid Race of Champions/International Trophy retrospective. Stronger F2 class action is promised too, with a gaggle of Brabham BT30s and McLaren M4As likely to be in the thick of things. Expect them to shine on the streets of Pau (9/10 June), where agility counts over power. Phillip Harper defends his OCEI/Acemai Trophy title in his familiar blue Ralt-BMW RT1, but is looking forward to some strong tussles. Deposed champion Michel Quiniou (March-BMW 782) and triple FIA Lurani Trophy Formula Junior champ Tony Thompson, who graduates from his Lotus 27 to an ex-Eddie Cheever Ralt-BMW RT1, are the men most likely to oblige. Ludovic Caron is more than capable of mixing it too, in his highly-developed March-BDG 742. The old Euro F2 Club Trophy gets a facelift and a new International prefix for 2001, and will be far more open since dominant champion Fredy Kumschick is making TGP his priority. 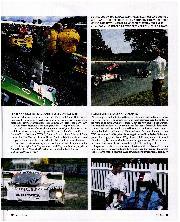 The shrill 1600cc BDA-engined Brabham, Lola, Lotus and March cars fly, and a concerted effort by co-ordinator Peter Stobinski and Kumschick to get bigger grids should be rewarded. Remember when Formula 3 was about screaming 1-litre cars, and races were won by the bravest of the brave outfoxing rivals at the final comer after slipstreaming battles involving a dozen or more cars? More than 25 — including Herrmann Unold, who raced F3 in the '60s, and HSCC champion Richard Urwin — have already signed up for the unmissable chance to race at Spa, Montlhery, Silverstone and Imola. The F3s are logical successors to the Formula Juniors with which they will share the circuits initially. The Junior movement has enjoyed huge growth in recent seasons, and now embraces not only the FIA Lurani Trophy series, but also a very strong series run by the Aston Martin OC in Britain. The keenest owners can now race them most weekends, as in their original heyday. This June at Le Mans, Stirling Moss will race the ex-Hamilton/Rolt Jaguar C-type which beat him into second in the 24-hour classic, 48 years ago. The event, on the Saturday morning preceding this year's 24 Hours, is the first of three Le Mans Legends showcases, to be continued in 2003 and 2005. The Automobile Club de l'Ouest aims to have as many original cars from the 1949-'64 races as possible on the grid, induding Jaguar Ds and the '59-winning Aston Martin DBR1. Group 4's European Sports Prototype Trophy harbours a stunning array of machines from the late 1960s and early '70s. This year sees prime mover Jonathan Baker switch to David Piper's Ford F3L to take on Lola T70s, a trio of Alfa Romeo 33s, the occasional Matra and Nicholas Zapata's Ligier. 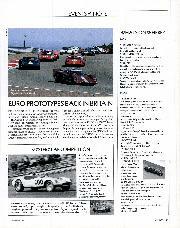 Reigning champion Michael Schryver's Chevron B16 heads the chase. Highlight of the International Supersports Cup calendar should be another visit to the Oldtimer Grand Prix, where a monster grid last August demonstrated how great a spectacle the Can-Am, Interserie and Group 6-dominated fields can be. Sweden's Jonas Qvarnstrom carries the coveted number 1 on his Chevron B19. 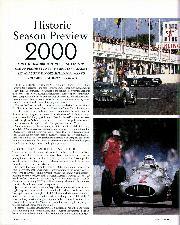 The series also visits Thruxton, scene of superb races in period. Following the lead of the HSR organisation in the USA, whose category for IMSA GTP-dominated cars provides some mind-blowing racing, the Group C equivalent is beginning to go great guns in Europe. 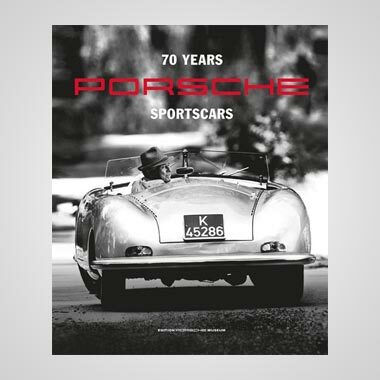 With aces like Win Percy, Anders Olofsson, Gary Pearson and Charlie Agg in the fray, in some of the ultimate sportscars of the pre-1991 era, it's going to get bigger. If half of the promised jewels stud the Festival of Speed's crown come 6-8 July, spectators are in for a real feast, with the strongest-ever current F1 element. Mercedes-Benz's museum and leading private collectors are also bringing 25 of the marque's most important competition cars to celebrate its centenary. The Indianapolis 500 clocks up 90 years too. From the big yellow Marmon Wasp on which the intrepid Ray Harroun won the first '500' in 1911, the tribute to the Brickyard's bravest tells the tale, through Miller, Mercedes and Maserati cars and a particularly strong section devoted to the 1960s and '70s. The Monte Carlo Rally is also 90, which gives masses of scope for excitement from early touring cars, through the Lancia Stratos and Group B eras to current World Rally Championship contenders. And a splendid selection of Brabhams commemorates the 40th birthday of Black Jack's marque. A fabulous new event for Sports Racing cars, headlined by those built between 1963 and '66, should wow the crowds at September's Revival race meeting (14-16 September) as Lotus 23, 30 and 40 models get to grips with Ferrari Ps and LMs, and early Ford GT40s. Fourth time round, a wider range of machines with Goodwood history is likely to populate the Tourist Trophy, while another eclectic selection of grand prix, sports and single-seaters forms the bulk of the cast. Motorsport theatre does not come finer, so dig out your '50s wear and join the dramatis personae in the time warp for the weekend of the season. The sight of Bernd Rosemeyer's V16-engined Auto Union C-type and Tazio Nuvolari's V12 D-type fishtailing round Donington Park on 19-20 May will be a priceless spectacle. Audi is planning to bring the actual cars for an emotional reunion with the only venue at which they raced in Britain during the Vintage Sports Car Club's annual Richard Seaman Trophy event. The VSCC and Historic Grand Prix Cars Association have jointly pulled off this great coup, and are now working together on other projects which should prove mutually beneficial as many of their members cars compete in both sets of races. The GP Itala Trophy meeting kicks off the VSCC's five-event domestic programme, at Silverstone, on 21 April. Hugely enjoyable family entertainment is guaranteed. 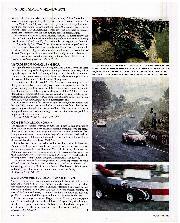 HGPCA competitors travel to Pau in June (where the BRDC's '50s Sportscars are also on the street race bill). Controversy surrounds the association's pre-'66 series, now in its third year, because BRM owners have been asked to revert their V8s from 2-litre Tasman spec to original 1.5-litre F1 trim to face the Climax V8s on an even pitch. How many will make the costly mods to go slower remains to be seen, so P261s might be thin on the ground. The sight of aero-engined leviathans from the Brooklands era thundering round the banking at Britain's newest racetrack cements a vital link with the past as the Coys Festival opens a new chapter in motorsport history. 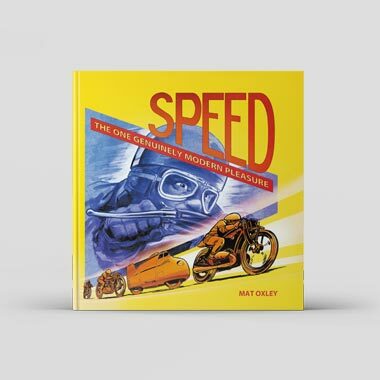 In truth, the shallow gradient perimeter circuit is more of a speed saucer than a speedbowl, but every square inch of the venue is visible from the stands, which should have the crowds flocking to Corby on 26-28 May. Other flashbacks include a retro Race of Two Worlds, recalling the European-American challenges which saw hybrid grand prix cars and sports-racers take on Indianapolis roadsters at Monza in 1957 and '58. Jimmy Bryan and Jim Rathmann triumphed for the overseas side on both occasions. Averaging more than 160mph, they were brave souls indeed. 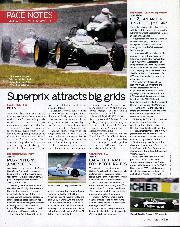 Offy-powered roadsters should whet appetites for September's inaugural ChampCar race at the venue. A Daytona 24 Hours feature brings superlative Group 4 sportscars out, while GT and saloon cars from the 1960s, and Historic Grand Prix machinery is also christening the blacktop. For fans of the Daytona 500, the new ASCAR saloon series will give a glimpse of the contemporary side of the facility. Group C cars will add a tremendous new element to this year's Festival, in its new end-of-August (25-27) slot. Formula Ford also makes its Festival debut, and deservedly so since the HSCC's Chris Alford Racing & Sportscars-backed championship has been one of the club's success stories of recent seasons. The race will be for the Walter Hayes Memorial Trophy, as a tribute to the man who put Ford's name on the DFV engine and nurtured Formula Ford in 1967. Expect the racing to be the usual high-quality stuff, with grand prix, sports and GT cars revelling in the excellent Historic GP layout. But, with dozens of star drivers, pageants, car clubs, air displays and a rallysprint on campus, the event — now in its 11th year — is so much more than a race meeting.